How many times you have delayed doing something you like, always seeking excuses? It was a similar situation for Carolyn O’Neill, who worked as a nurse in a psychiatric office. She always thought that she will turn to art when the retirement came and she had all the time in the world. It would be a good number of years wasted, but she came to her senses upon seeing a mural painted by parents in her kid’s kindergarten, and that awake that artistic urge that was buried deep under everyday commitments. The big change happened in 2003, and she’s been painting since. Working as a psychiatric nurse, a ‘normal’, representative style was never an option. 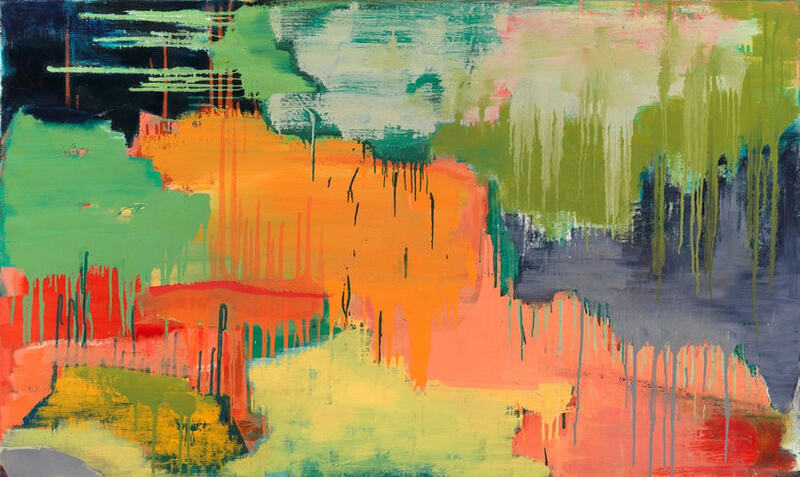 Similar to her influences – Pollock, Motherwell, Kline and De Kooning, O’Neill knew that she was unable to fully express herself through representation. 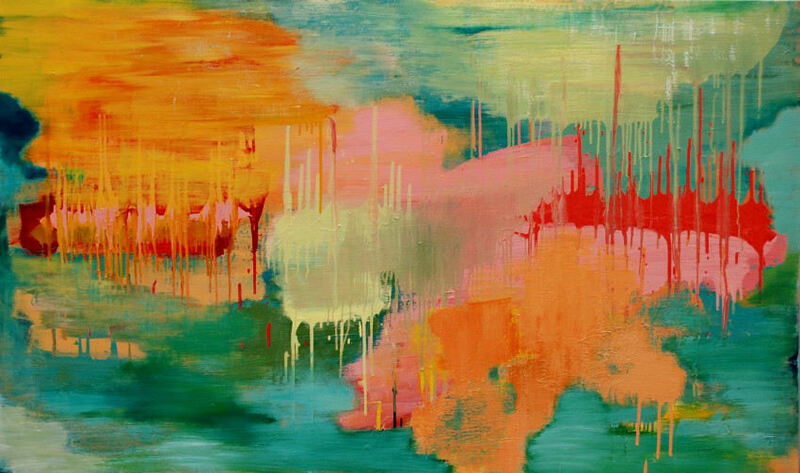 Abstract expressionism was the perfect form of expression, complementing all the experiences and emotions accumulated while working as a nurse. The artist prefers painting, but also very much enjoys while she draws, makes sculptures or mixed media collages. 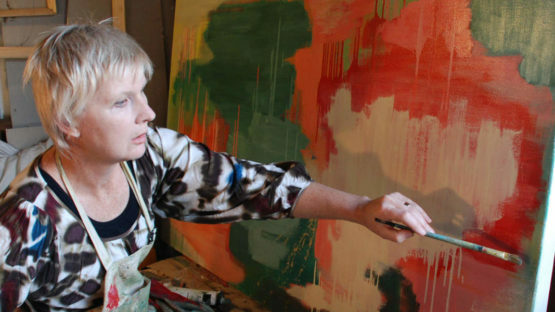 Her previous career has left a mark, as she is deeply connected to her artworks. The importance of self-expression is clear. O’Neill work is based on intuition, where the physical, spirit and emotions are incorporated. However, the accent isn’t on the process of creation nor the need of the artist to say something. She hopes to get some sort of response from the viewers, to forge an emotional connection with them. The work is not planned, it just happens. Spontaneity is the core of the process. Once it begins, the artist work at a fast pace, which is draining her physically but supplies fresh amounts of creative energy. She’s inspired by the biblical themes of faith, emotions of music and never-ending quest to make some additions to her Mid-Century collection of furniture and home wares. In 2003, Carolyn took a short course for the beginners in painting, and she started to exhibit locally. It wasn’t all great until she moved to Western Australia in 2007 in pursuit of formal art studies. Between 2008 and 2011 she earned Certificate II and IV in Visual Art and Contemporary Craft at TAFE, which gave her a boost of confidence in her abilities and talent, and she definitely chose an artistic career. O’Neill is married, has 3 sons and still successfully manages both the family and her art career. The need to paint has a therapeutic effect on the artist, especially in the times filled with stress, when her ability to project emotions onto canvas really shines out. If art is the thing you want to do, just do it. Carolyn O’Neill has taught us it’s never too late to start doing what you love, but you shouldn’t wait either. Grab the first opportunity and follow your dreams. Carolyn O’Neill needed a little push in the beginning, some encouragement, and look where she’s now. It doesn’t matter she has found her medium or the technique, the artist is continually challenging herself. Everyone has their lack-of-inspiration periods, and O’Neill found a way to overcome them. Simple quick random sketch, dabbling with mixed media collages and sculptures from time to time. It’s going to be interesting finding out where her emotions and experimentations will lead her next. Carolyn O’Neill lives and works in Melbourne. All images courtesy of 19 Karen Contemporary Artspace.